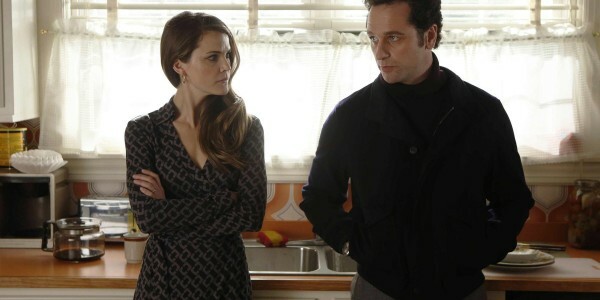 FX has announced that its critical hit The Americans has been renewed for two more seasons, with the show's sixth season serving as its last. The series, which follows two deep cover KGB operatives in the 1980s as they serve their government while living American lives in Washington D.C., has continually been highlighted as one of television's best dramas by critics, receiving a 2015 Peabody Award for its excellence. However, the show has not managed to grab the ratings to match. Highlighting the show's acclaim, FX original programming president Eric Schrier lauded the series in the renewal announcement. Through its first four seasons, critics have lauded ‘The Americans’ as one of the best shows on television and, remarkably, a series that keeps getting better every year,” said Schrier. “All credit for that achievement goes to everyone who has worked on the show, and especially co-showrunners Joe Weisberg and Joel Fields, Graham Yost, our brilliant stars Keri Russell, Matthew Rhys, Noah Emmerich, Allison Wright, Holly Taylor, Annet Mahendru and the ensemble cast for their incomparable performances every season. We have no doubt that this two-season order will allow Joe and Joel to tell this story to its perfect conclusion. On behalf of our producing partners at Fox 21 Television Studios and Amblin TV, we look forward to a brilliant final act of the Jennings family saga.” For a show whose fate was consistently up in the air, this multi-season renewal (and announcement of an end) should allow Weisberg and Fields a chance to tie the story up in the best possible way. Entertainment Fuse will have a season four review up after the show airs its fourth season finale next week.